Face-to-face interactions among employees dropped by about 70%. Open-plan offices allow employees to see and hear their colleagues all day long, so you might think all this transparency would encourage them to work more collaboratively. But according to new Harvard research, this type of office environment actually has the opposite effect: it reduces the amount of time people spend talking face-to-face and instead drives them to interact by text or email. Previous studies showed that open-plan layouts reduce productivity, partly because people tend to feel uncomfortable holding serious business conversations within earshot of large numbers of colleagues. But the rationale behind the open-plan design was that, as well as reducing spending on office space, any drop in output would be offset by increased levels of teamwork. However, in their study, Ethan S. Bernstein, of Harvard Business School and Stephen Turban, of Harvard University found that when two Fortune 500 companies changed their office layouts from cubicles to open-plan desks, face-to-face interactions among employees dropped by about 70%. Employees became more reluctant to give negative feedback or address sensitive issues in front of colleagues, which drove them to find more private ways to interact. Instead of talking to each other in person, the study participants turned to their phones and computers. 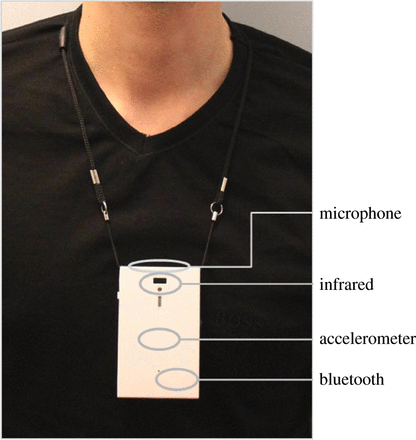 To build a picture of interactions both before and after the boundaries were removed, the study participants wore a device, known as a sociometric badge, which recorded their conversations with colleagues and information about their posture, location and movements. The researchers also tracked the number of instant messages and emails. After the redesign of their offices, the participants sent 56% more emails to each other, received 20% more emails, and were cc’d on 41% more emails. Their use of instant messages increased by 67%. In summary, Bernstein and Turban wrote: “While it is possible to bring chemical substances together under specific conditions of temperature and pressure to form the desired compound, more factors seem to be at work in achieving a similar effect with humans. The way we work is changing rapidly, and improved communications and greater connectivity mean some companies choose to shun the open-plan layout altogether. The number of people working from home and in public spaces such as cafes and libraries is increasing. As the chart shows, over 5% of Americans are working from home, and this number is forecast to increase in the coming years - albeit from a low base. What is the future of office spaces? Is this the world’s greenest, smartest office building? Can bringing young and old under one roof solve the world's housing crisis?